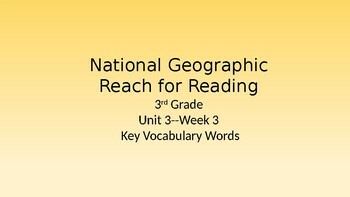 This PowerPoint presentation covers the Key Words and Academic Vocabulary for Unit 3--Week 3. 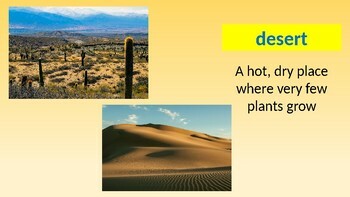 Each slide contains a word, definition and picture(s). 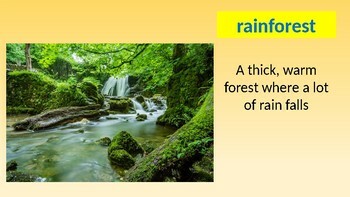 As you view each slide, click to first reveal the word, then click again for the definition and finally the picture(s). This design allows time to decode and discuss each word, gauge student's prior knowledge and make predictions with students. 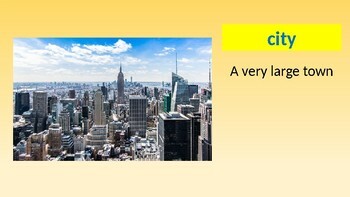 My students love these engaging presentations!